1988 – 2019 … 31 Years Strong! 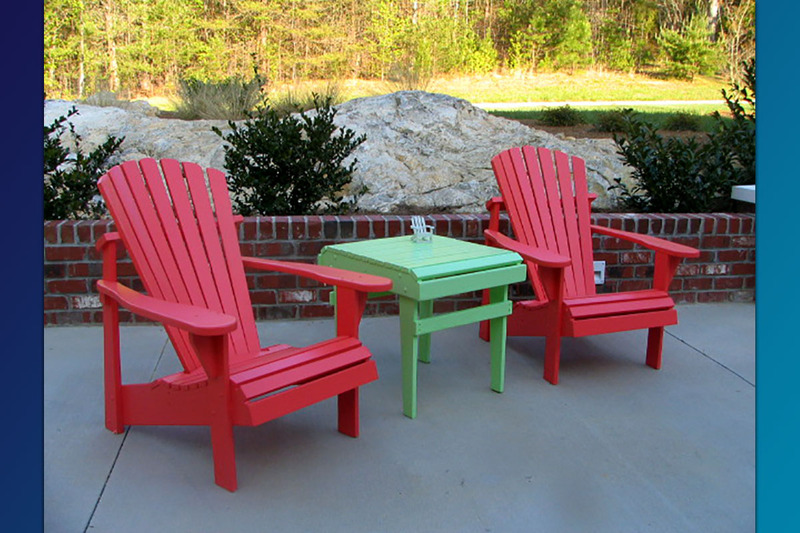 Weathercraft® Outdoor Furniture products are completely and proudly made in the USA. Every individual piece is hand-crafted and finished in our manufacturing facility with strict attention to quality and detail. 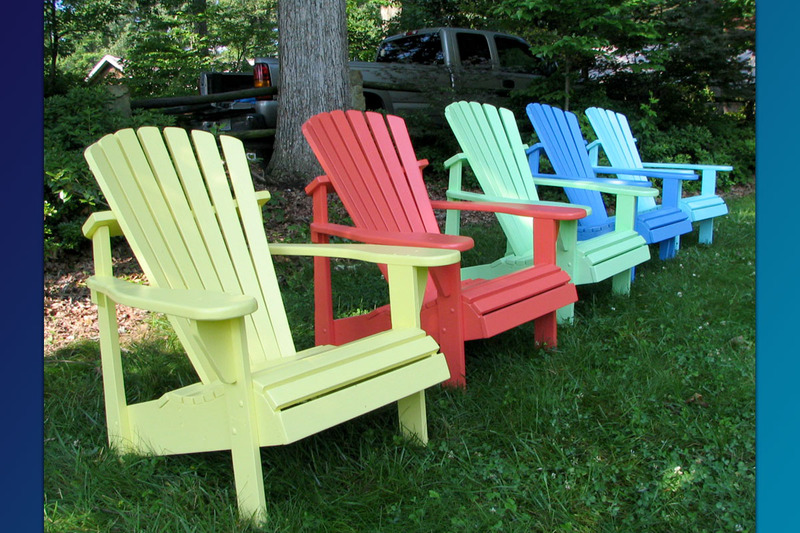 We use only “C” and #1 premium furniture grade lumber for all of our Adirondack Furniture, Chairs, Swings and Accessories. 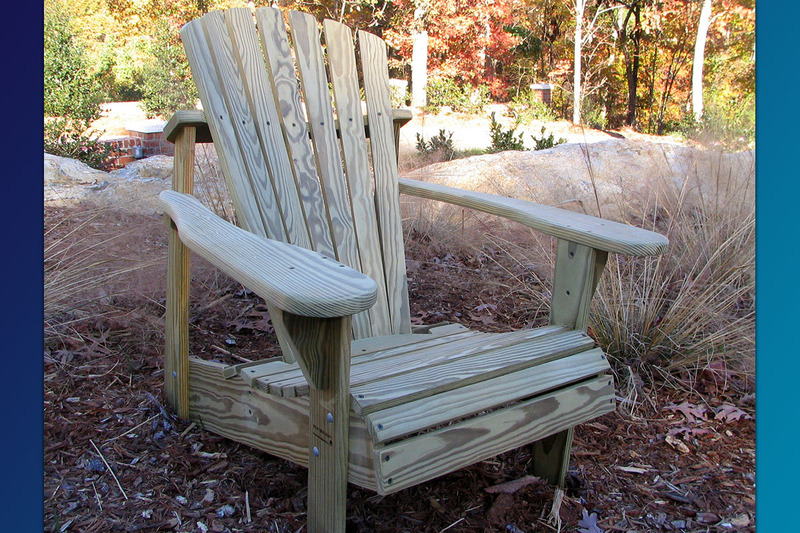 Our furniture utilizes pressure treated pine (sometimes referred to as “salt treated”) which has fully dried after treatment for better protection against decay, rot, and harmful insects. 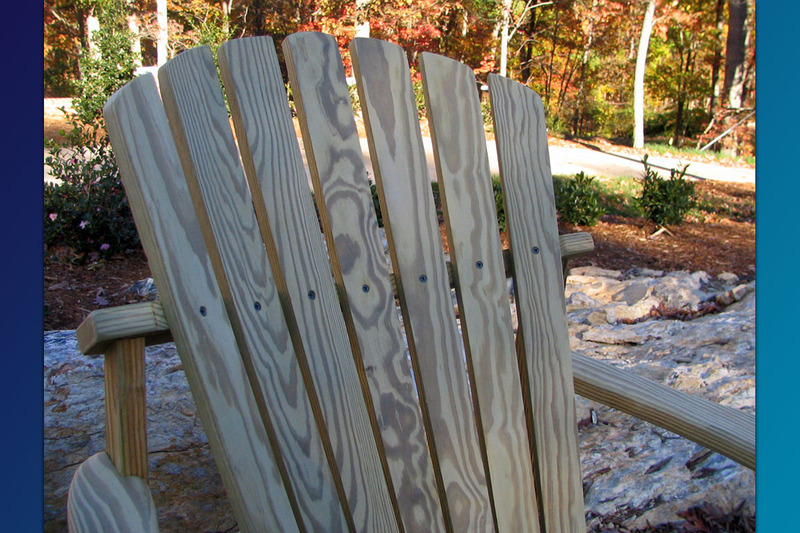 Our Lumber is 98% knot and blemish free, grades which are not typically found in most building and lumber supply stores. 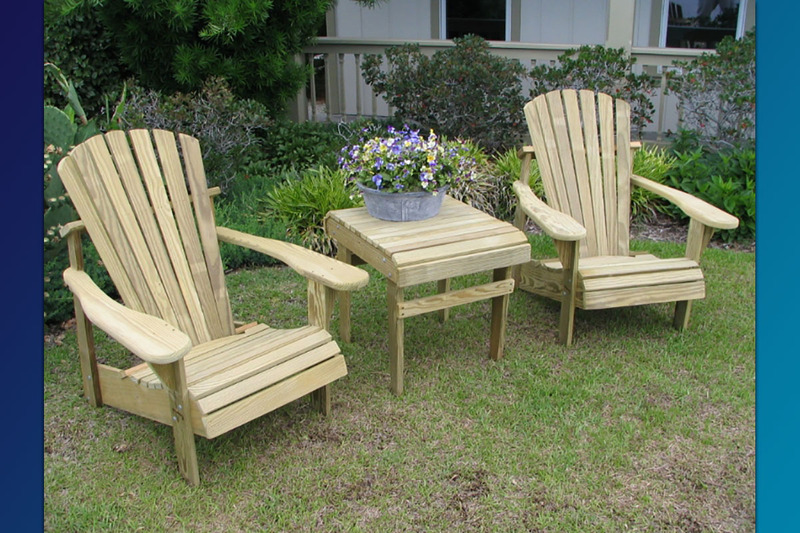 Our Standard Furniture selections include the Adirondack Chair, Adirondack Footrest, Accent Side Table, Adirondack Rocker, Adirondack Balcony / Pub Chair, and Classic Adirondack “Tete-a-Tete” Double Seater(s). 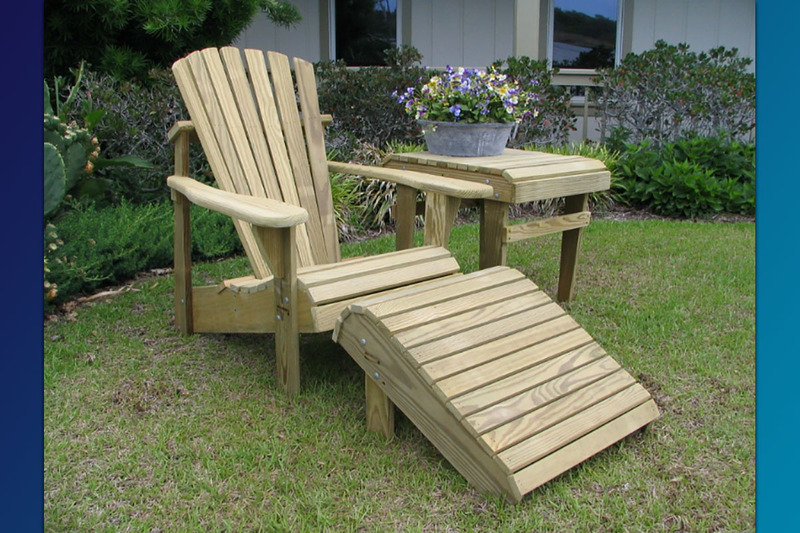 Every piece is also -available- in our “Commercial Series” line in Unfinished Natural or any of our Painted Finish Colors PLUS optional Stainless Steel screws. 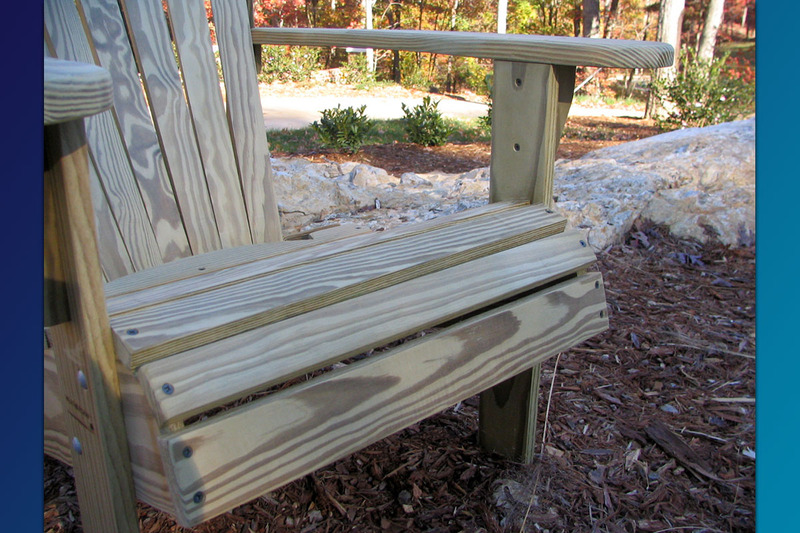 In addition, Weathercraft also manufactures one of the most durable Swings you will ever find made to last for years and years. 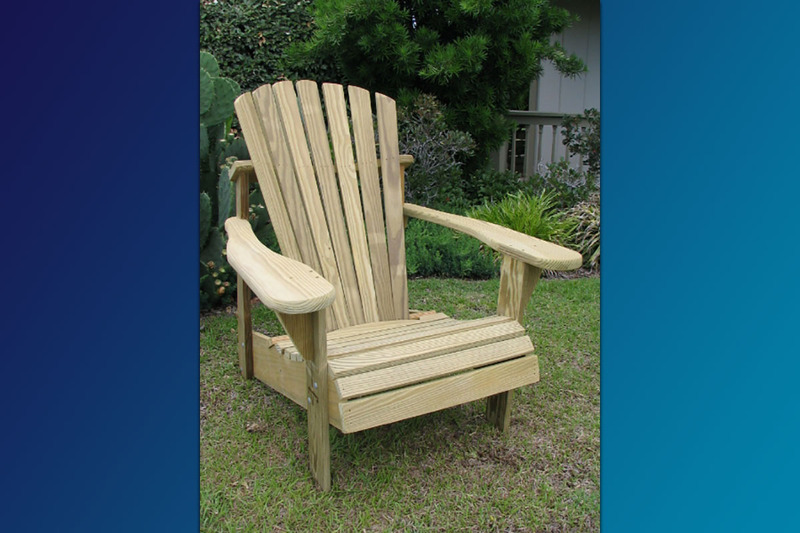 “Designers Choice” Adirondack Chairs & Accessories … A nationally recognized name designed and manufactured by Weathercraft® Outdoor Furniture, Inc.
Adirondack Chair Cushions: Don’t under estimate the added comfort Adirondack Chair Cushions give to our already very comfortable Adirondack Chairs. 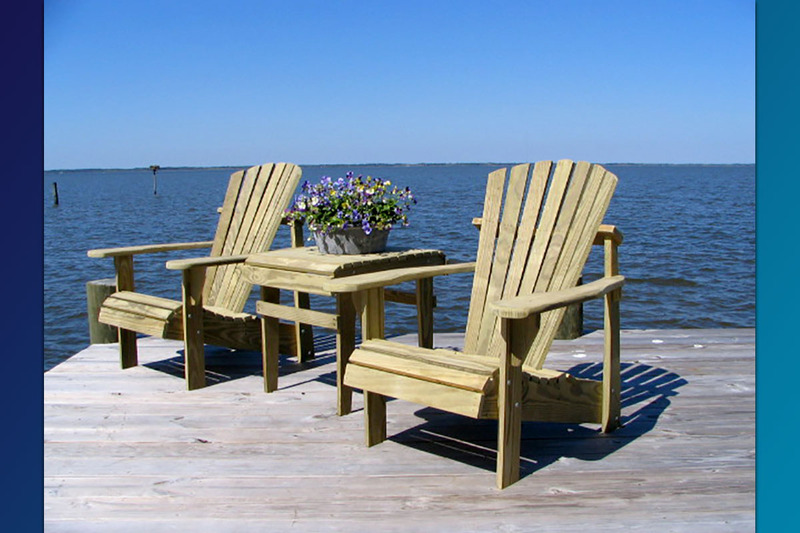 We manufacture our cushions and they take you to a whole new level of seating comfort. 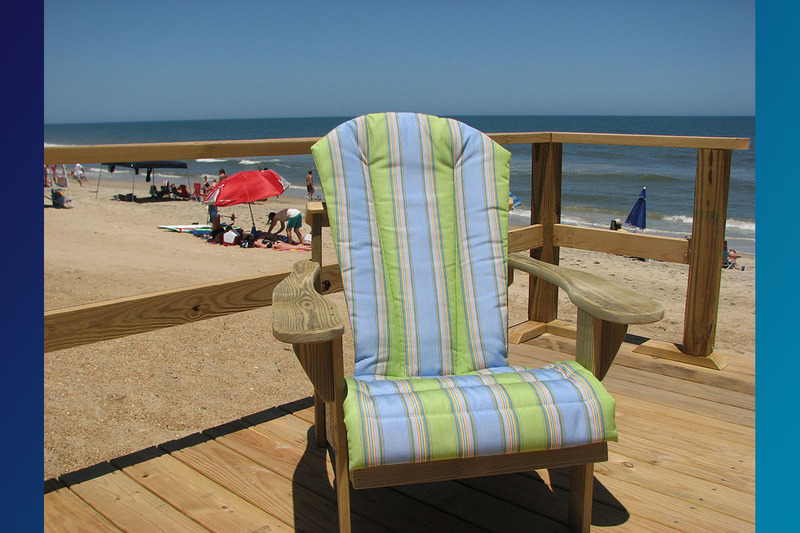 We also offer Swings, Umbrellas, and Chair Cushions (constructed with Sunbrella® & Sunfield® outdoor furniture fabrics, which are not only beautiful, but also incredibly durable). 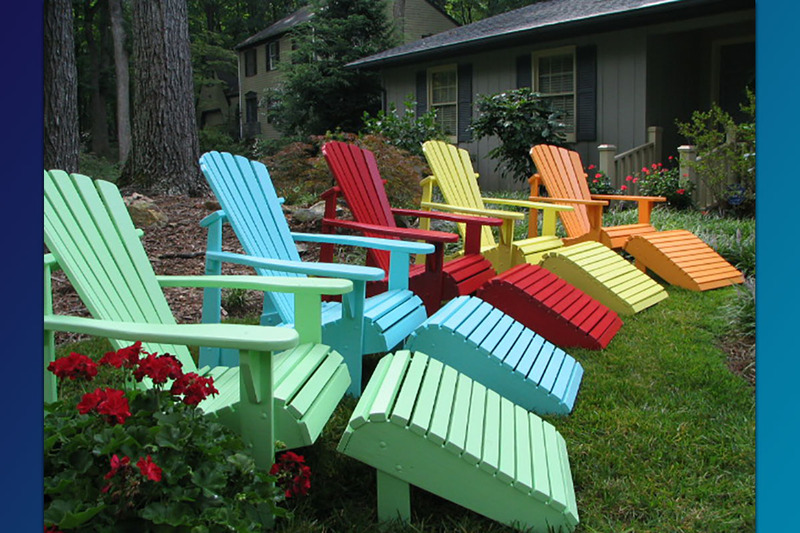 Weathercraft® Outdoor Furniture has earned its reputation as a manufacturer of the Top 10 Best Adirondack chairs, maintaining a 4.5 to 5 star rating among those who purchase and review our products. 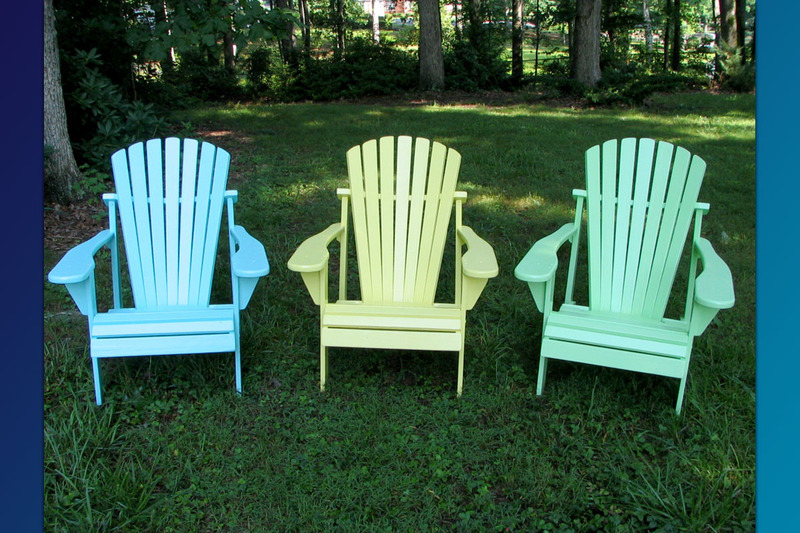 To order, please call us toll-free at 1-888-682-9244, or locally at (336) 629-3939. 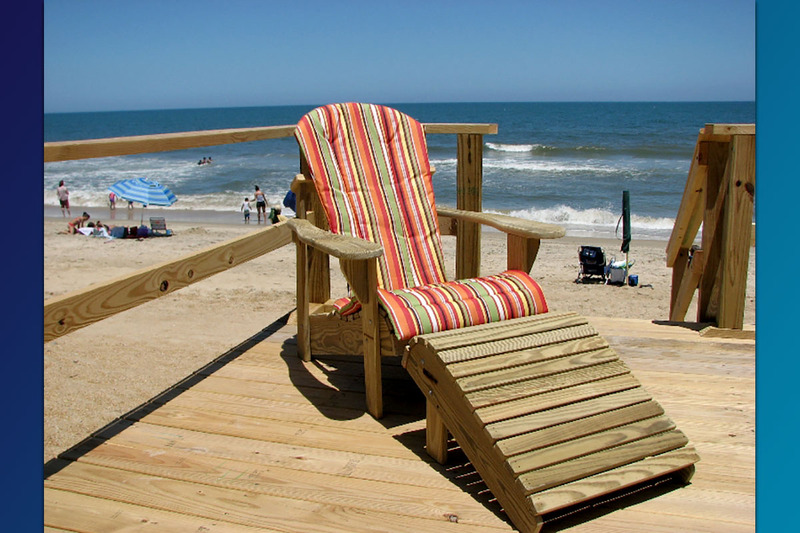 We gladly accept Visa, MasterCard, Discover, American Express, AND approved checks.